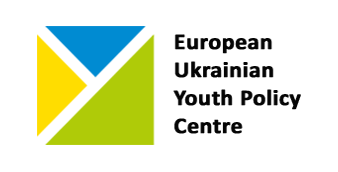 The combined second and third DSC sessions took place on November 30 – December 2, 2018. 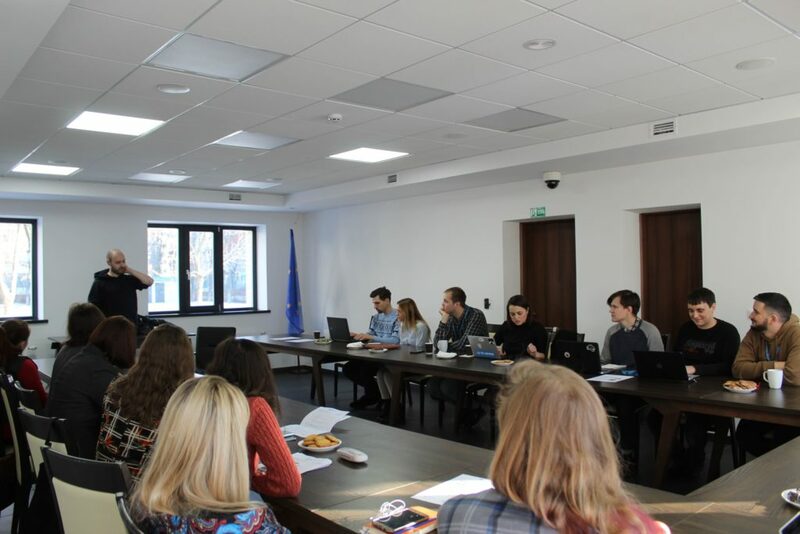 We had an intensive three-day-long, eight-hour-per-day session devoted to different topics related to the development of and threats to democracy: healthcare and public service reform as well as the far right and anti-corruption measures in Ukraine, civil journalism, and gender quality. The last day of this working session was dedicated entirely to one of this year’s key topics – peace mediation and how to conduct it. The first day started with the Inspiring Breakfast – a format liked by the DSC scholars who enjoy listening to inspiring individuals over coffee. Svitlana Pugach, executive director of Charity Fund “Tabletochki”, talked about the work of the biggest charity foundation in Ukraine for children with cancer. Danylo Mokryk, investigative journalist, reporter at the “Our Money with Denys Bihus” TV program and host of the “Subject of the Day” talk show, came to the Centre to talk about one of the most baffling problems – corruption and the tense job of an investigative journalist. 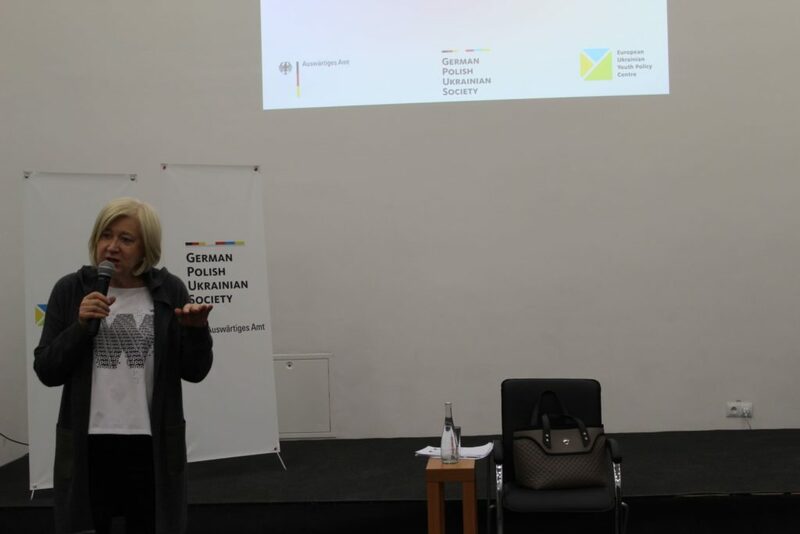 For those, who are aiming for a career in research, Gisela Zimmermann, Director of the Kyiv Office of the German Academic Exchange Service (DAAD), made a presentation about research opportunities and funding in Germany. Ms Zimmermann talked about different DAAD programs and potential academic career opportunities in Germany. 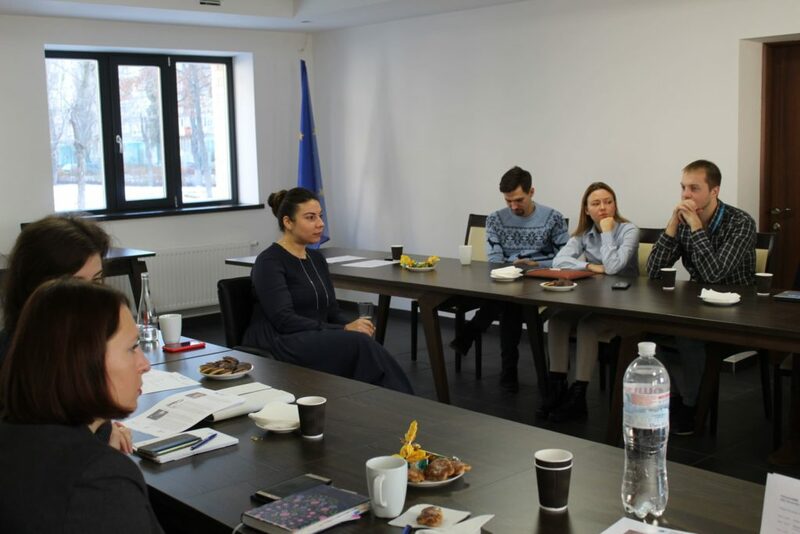 It was a great pleasure to have Iryna Lytovchenko, Director General for Strategic Planning & European Integration at Ministry of Health of Ukraine and co-founder of “Tabletochki”, again at our Centre on Saturday morning (Iryna had come to the DSC already during the academic year 2016-2017). 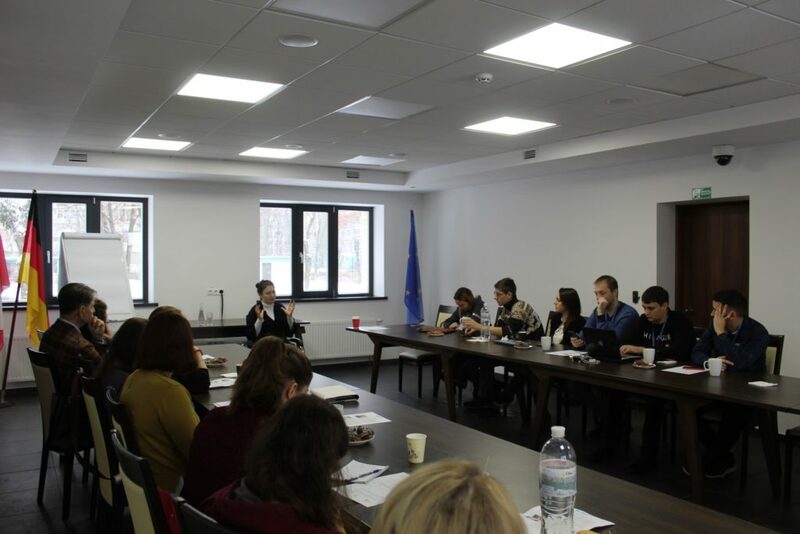 Iryna talked about the reforms and future plans of the Ministry. She also reminded everyone to choose a family doctor. 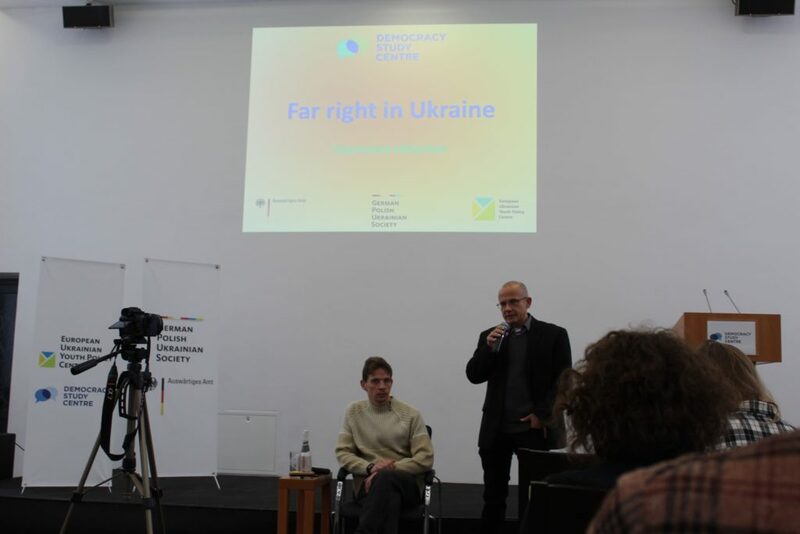 Vyacheslav Likhachev, historian, expert on xenophobia and human rights issues, Head of the National Minority Rights Monitoring Group and Chief Editor of the Euro-Asiatic Jewish Congress’s official website, came to the Centre to talk about far-right movements in Ukraine as well as the public discourse on their political relevance and prospects in the 2019 presidential and parliamentary elections. The lecture and the following discussion with our scholars was designed to be public, and will be available online. A discussion on gender equality by Dr. Ewa Ruminska-Zimny, Lecturer at the Polish Academy of Science, Poland’s Gender Studies President, and Board Member of the Congress of Polish Women Association, presented with great competence and inspiration for the DSC scholars who asked many questions and commented about gender inequality in Ukraine. 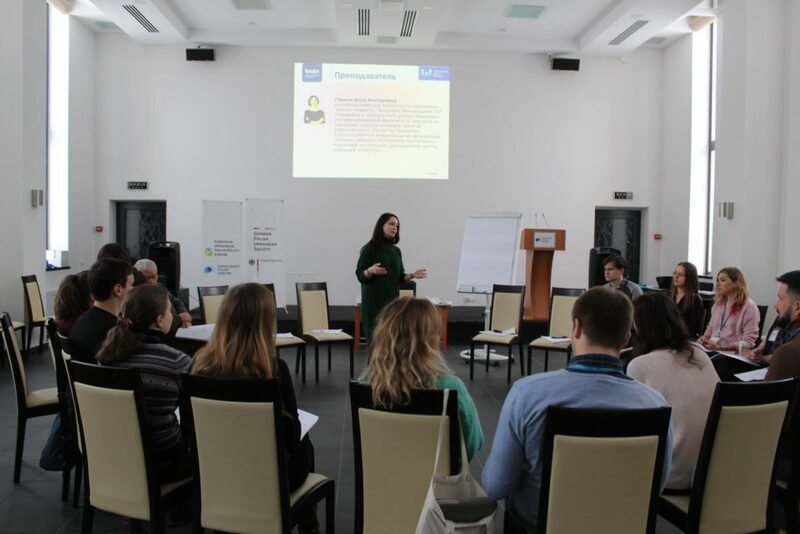 The third day was entirely dedicated to an intensive three-part peace mediation training by an accomplished mediation trainer from the Ukrainian Mediation Center, Anna Gorina. The scholars gained in-depth knowledge and received practical skills about mediation of various conflicts, types and stages of mediation process. That is all news from the second and third working sessions of the DSC. We will keep you updated!